Gush Etzion invites children from rocket-battered south to a day of fun in the Judean hills. 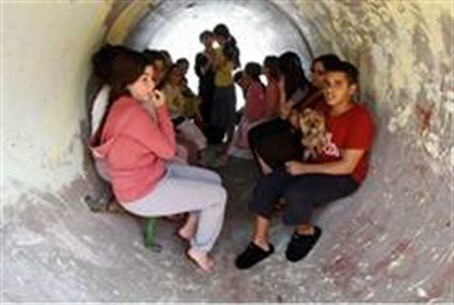 The Gush Etzion regional council has reached out to southern Israel by inviting dozens of children to a day of fun activities in the Judean hills, far away from Gaza terrorists’ rockets. Approximately 50 children from the Shapir region will travel to Gush Etzion on Monday to take part in a day of fun planned just for them. The day’s activities are to include swimming, soccer, basketball, a trip to a petting zoo, and more. The day will end with a movie, popcorn, and dinner before the ride home. “We are happy to host children from the south, and hope that they will experience a relaxing and entertaining day in our region,” said regional council head Davidi Perl. Gush Etzion also hopes to welcome the children back in the future “in calmer days,” he added. The Gush Katif Museum in Jerusalem will also be open free of charge Monday to residents of the south. Schools in much of southern Israel were closed Sunday and will be closed again Monday.